The reception area was clearly demarcated into three sections. As you entered, to your right were the twitter kiosks and the photo booths with FUNtastic props. The central area was reserved for the registration desks, while to the left was the delightful Hi-Tea spread. On regular days, I’d be savouring the delectable cuisine, however, I’d just returned from a birthday lunch. The photo booths were fun, but the IPad twitter kiosks upped the cool quotient in the summer heat. So you could click a picture at the kiosk, and Dove would tweet it along with your message from their official handle @DoveIndia. In this day and age of selfies, we were only too happy to oblige. Post the photo ops, we lined up to get our team bands. I was assigned to Team 2, given a treasure map, a badge and a bag tag to set the ball rolling. 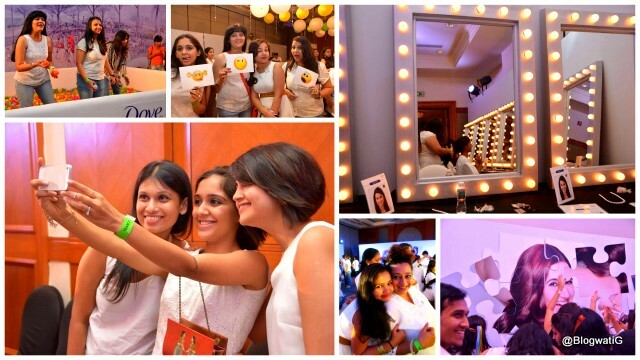 Dove had curated a master plan which we had no clue of. So, we waited for heaven’s gates to open up, while we interacted with bloggers, old and new. In fact, a handful of bloggers had been flown in from across the country, especially for this meet. The excitement was hard to miss. 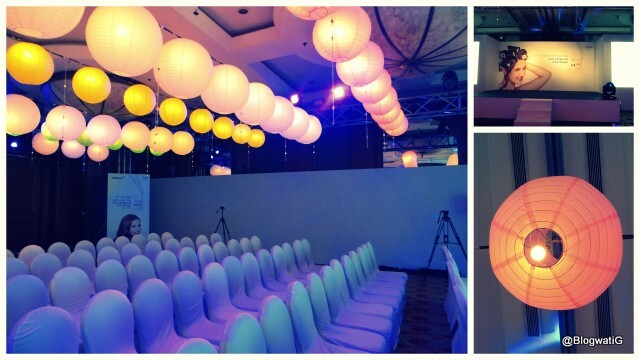 The venue was tastefully decorated with the usual brand set up in white. However, what added a dash of panache were the multi-coloured Chinese lanterns that delicately lit up the hall in rainbow hues. A very winter wonderland look. The event kick started with a welcome, especially to the out-of-towners. Then the very pretty and articulate Freishia Bomanbehram of Hangout Amreeka fame took over for the evening. After exchanging pleasantries and promising us a rocking evening, she called all 12 teams to assemble in front of the stage. And that is when I met my Motley crew for the first time. We were nine of us, but the one that got my attention was the Rapunzel lookalike. Her badge read Pallavi. She had such gorgeous, long hair, that for a minute I forgot we had to name ourselves based on a hairstyle. When I recovered, we had chosen the name ‘French Braid’. The evening began with ice breakers that included going round in circles and inventing a handshake, emulating an emoticon, paying a compliment and even doing the Birdie dance and the Gangnam style. So far so good. And then those twerkers came on stage. Oh my dear Lord! It was Zumba time. Of course, the ladies on stage and in front of it were fantastic. Me? Well, let’s just say I realized I owned body parts that had no coordinated motor skills. But I shook it all the same. Just when I thought I’d braved the storm, all hell broke loose. Freishia announced that we were to compete with each other for points in various activities across the halls (Now the darn treasure map with river names made sense!). By then Dove too had decided it was time for no mercy(No, not that band). We were made to endorse Hips don’t lie with Hula Hoops. So there was good news and bad. Good news, I found a hoop that could go around the circumference of my larger than life persona. Bad news, gravitational force took over and it landed flat on the ground. Fortunately, the youngest member in our group moved with such gusto, that she could put Shakira to shame. And we won hands down. Yay us, and way to go Tanyaa! Image Courtesy : IndiBlogger & Swarnali for the one of me. By now we wanted to have a ball, so we headed to the next activity with a team strategy–only underarm, no overarm. You see, three team members had to get into the ball pool and scout for the grey dove balls. Two members on this side had to catch those balls in a bucket. Easy eh? Not when you have the resident Malinga Swarnali who threw the ball like there was no tomorrow. Suman and she, at times were fighting on who could hit me best. Fortunately for me, I ducked! But team effort got us a whopping 314 balls. Luckily, no casualties reported. Hair Play was a fun thing to do. We had to style each other’s tresses based on a few hairstyles shown with the accessories provided. Quite tricky for butter fingers like me, but Bienu, Shayoni and Pallavi held the fort for us. And we came a close second on this one. Next on the agenda was Puzzle Mania that had a life-size Dove wall puzzle. Now this one had a catch. Every team that reached this room got 1000 points to begin with. And then, based on the time we took to assemble the puzzle, the points were deducted for every minute used. Sam and Michelle along with the rest of the team made sure we reached that extra mile. And no prizes for guessing, we came first with 650 points. I’d say, Team French Braid knew how to work the knots. It was finally time to look pretty and feel pampered. So we were taken to the Dove Salon where each one of us was treated to a befitting hairstyle. We came out looking like divas, feeling on top of the world. But the evening was just getting warmed up. Mixologist Pranav Thakker conducted a bar tending activity by the pool. The walk was long but worth it. 12 new cocktails were crafted that evening amid much laughter, cheer, and high spirits. By the end of it we were real famished, so we headed for dinner. When we returned, we found the ballroom transformed into an open dance floor. So in between dinner and desserts, we had a choreographed dance performance, after which the grand results were announced. 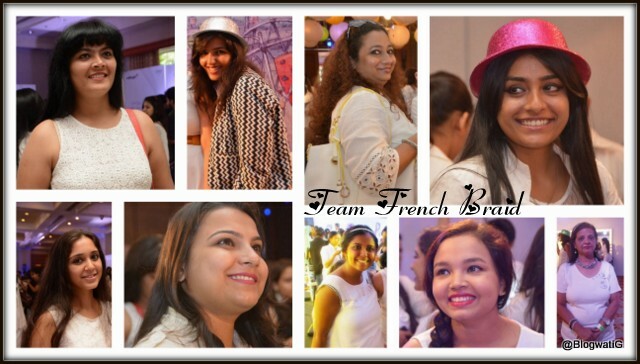 And surprise, SURPRISE – Team French Braid took home Rs 5000/- salon vouchers each. We were ecstatic! Team Dove had one final ace up their sleeve. Remember the Crystal Maze series? Well, yes, they had crafted a crystal dome with the fans in place. All one had to do was go in and collect the dove cutouts as the mighty winds blew. Two ladies contested, and as luck would have it, both were declared winners. It was close to 9.45 pm. Team IndiBlogger was arranging transportation for those who lived far, far away. Team Dove was basking in the glory of a successful event. Team Wizcraft that orchestrated the event were happy to have contented clients. Every lady was walking home with a goody bag from Dove that had either a hair straightener or hair dryer, dove products and a cute little dove clip. ‘I blog therefore you are’ T-shirts were up for grabs, yet, as far as I was concerned, something was missing. Instinctively, I took off my shoes and headed for the dance floor with a few of my girlfriends. And we danced like no one was watching. And even if they were, we were enjoying ourselves too much to be bothered. I can safely say, that we were among the last bloggers to leave the premises. It was truly a day to remember. You know what they say, if you want a woman to notice, pay attention to the details. Team Dove and Indiblogger did just that. Right from taking care of our handbags (God knows we carry the world in them) to ensuring we reached home safe, they did it wholeheartedly. Yes, it was a wonderful event. Met old buddies, made new friends but most importantly I let my hair down and was simply ME. After all, play dates are all about having fun, no? 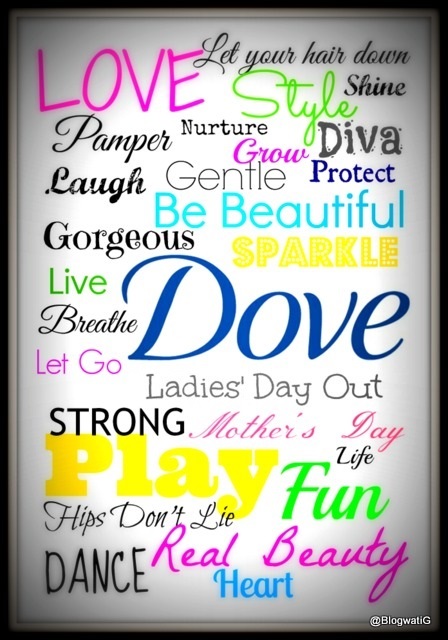 And why not when I have Dove product range to pamper, protect and nurture. Almost forgot to mention, we also spotted the Dove girl Aditi at the event. Quite a petite lil’ thing, she seemed to be spending quality time with her mom this Mother’s Day . Have a look at the new Dove ad and know more about their new Intense Repair Shampoo here. DOVE….because love is all about expressing it, especially to self. I would not have been very good at hair play, but my daughter would have rocked it. Oh I thought so too. My daughter would have aced the hair play, hands down. But then again, I enjoyed it too. blogwatig recently posted…Love. DOVE. Play. A lot of fun, food, good company and very good spirit(s) We sure were pampered to the hilt. You can surely say that again. Sigh, need another play date. Fab post! Like I said on Janu’s post, so jealous of you guys. 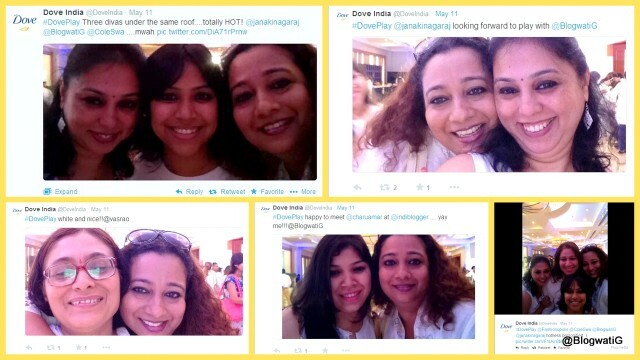 Why doesn’t Dove turn its attention to Bangalore. You are right. Taking care of the little details is a way to a girl’s heart for sure. Rachna recently posted…There’s a hero! Wow, from your selfies and the way you describe the event it looks like you had a blast! Oh, it totally was, Melanie. We were so treated like princesses, I wish it had never ended……! Yay! I loved meeting you and your post reminded me of the fun we had 🙁 Sigh…back to grinding schedule.